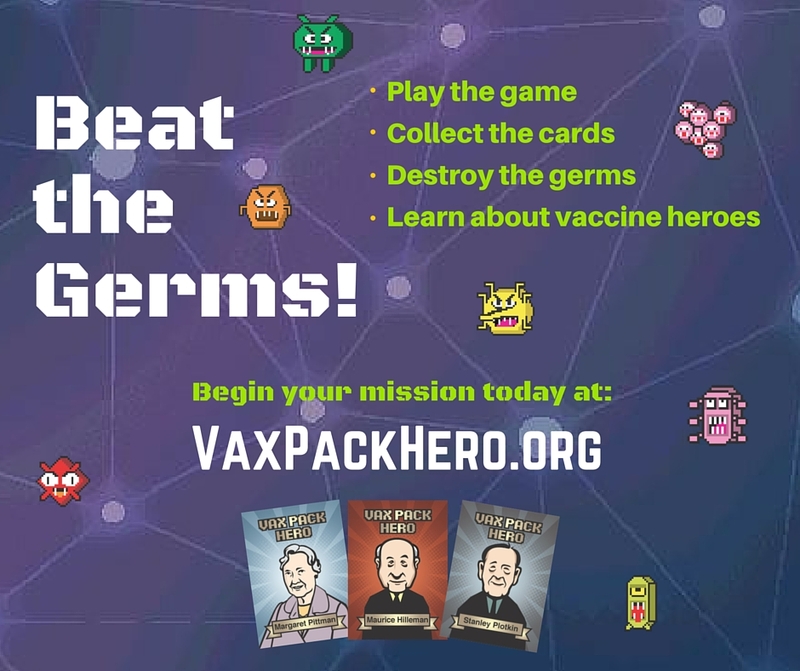 The Vaccine Education Center at The Children’s Hospital of Philadelphia is excited to announce the release of Vax Pack Hero – a new web-based video game and educational initiative designed for elementary and early adolescent-aged children. 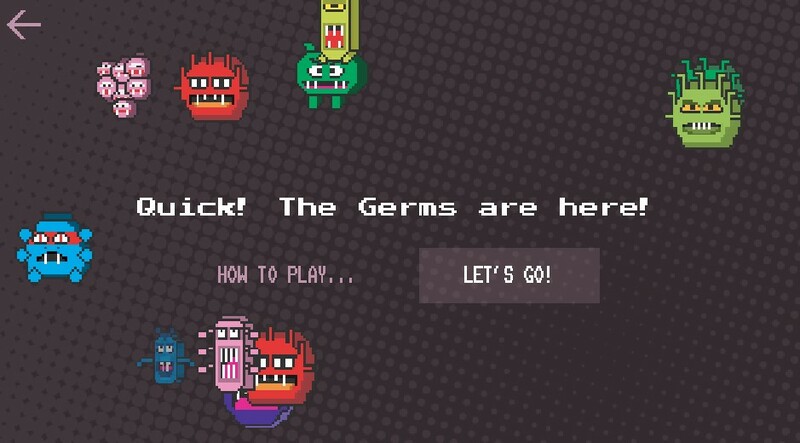 At VaxPackHero.org, children can play a video game that allows them to explore different parts of the body, learn more about germs and help patients to overcome one of 21 vaccine-preventable diseases. Players can click on any of the 21 different germs to learn where it causes sickness in the body, where you will find it in the game and which vaccine heroes can help you beat it during game play. To defeat the germs and return patients to good health, players must choose from one of 50 real-life Vaccine Heroes. The heroes come from many backgrounds, to include doctors and scientists who have developed vaccines, as well as engineers, authors, politicians, philanthropists, diplomats, a milkmaid, and even two small children. 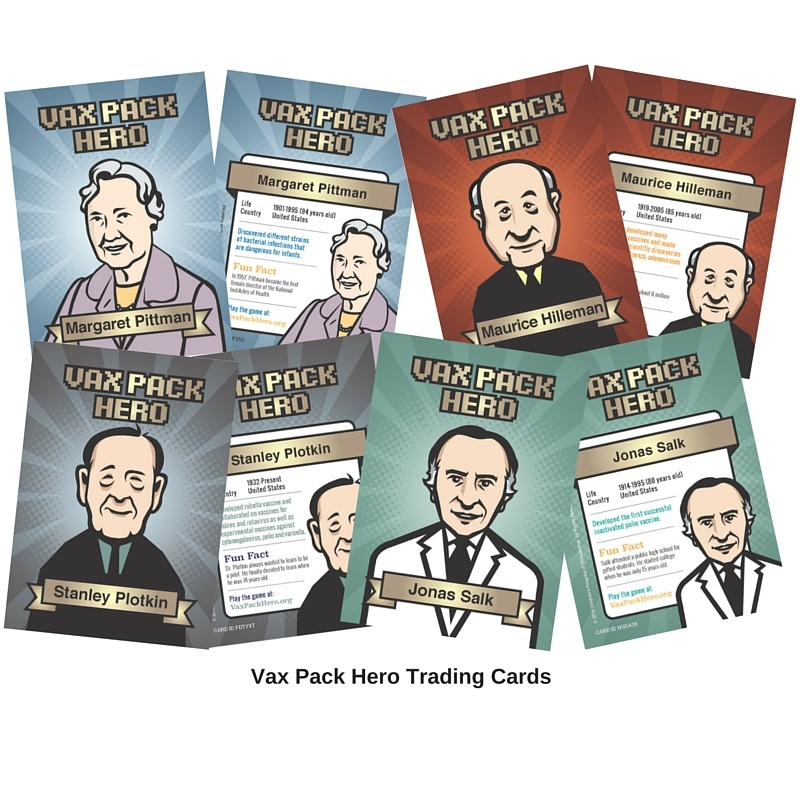 As players learn more about the real-life accomplishments of each Vaccine Hero, they learn how each of these individuals can be effective in beating different germs in the game. 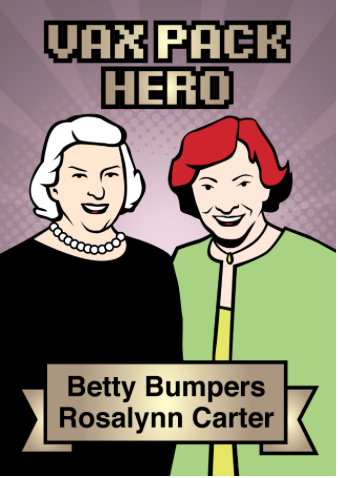 Our personal favorite Vaccine Heroes are Betty Bumpers and Rosalynn Carter. Betty Bumpers, the former First Lady of Arkansas, and Rosalynn Carter, the former First Lady of the United States, started the non-profit childhood vaccine advocacy group, Every Child By Two, in 1991. However, they began their childhood immunization advocacy in the 1970s when their husbands were governors of Arkansas and Georgia, respectively. When you play the game you can find out how this dynamic duo can help defeat certain germs. Players begin with eight heroes in their digital card library, but earn more during game play by correctly answering multiple-choice trivia questions. The trivia questions appear as a question mark (?) roaming around the patient’s body during game play. Each card also has a unique code, so that it can be added to a player’s digital card library when it is earned and the player can use that hero’s powers during game play. Once players defeat enough germs, they can challenge the “Boss Germ” and once conquered, their patient can return to health. After helping 10 patients return to health, they can claim a free prize. Players can also order physical trading cards of the different Vaccine Heroes. The cards are modeled after sports and Pokémon™ trading cards and feature basic biographical information on each hero, or team of heroes, as well as a brief summary of their achievements and a fun fact. Want to help a child get excited about battling infectious diseases? Help them get online and get them interested in playing Vax Pack Hero today. My son liked the game a lot. Cures for cancer are few and far between but small steps in the field of cancer research are now giant leaps in the fight against this illness. Many of the medications were promptly developed into cancer vaccines and tested in various trials ( http://goo.gl/47yM3w ), and proved to a fact that these vaccinations are very effective in preventing cancer.